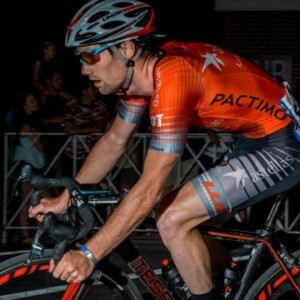 Racing Strengths: Hard and Technical Criteriums. Goals for 2016: Win an NCC race and help the team win the teams classification. You’re from Tasmania, a small island just off the South coast of Australia. There are so many successful Tasmanian cyclists now. What’s in the water down there? We have a big cycling community down there now. There’s a really good support network for up and coming juniors with the Tasmanian institute based at the local velodrome. The biggest key factor is the training environment. We are pretty spoilt when it comes to the quality of riders on the weekend group rides and also the terrain we get to train on everyday really brings you up another level. The list of professional Tasmanian cyclist is rising every year. It’s awesome! Training on the roads with headphones can sometimes be a contentious issue. What side of the argument do you stand on? Good question! I personally ride with my headphones in 100% of the time when I ride solo. People ask me “how do you hear the cars behind you coming?” Well, I have the volume up just enough to hear if a big truck is barrelling down on me. But I try and ride as far to the right as possible, so it really makes no difference if I have headphones in or not. I can’t move over anymore and plus it’s a road…I’m expecting cars! What does it feel like when a team has the perfect race together, everyone has given 100%, and the desired result has been achieved? Whether the actual winner if yourself or your teammate, the feeling you get when you plan a race and execute it perfectly is something that is hard to explain. It’s a special moment that you get to spend with a bunch of your good friends/teammates. I think it is so special because it is really a rare occurrence that what you actually plan happens exactly that way. So when it does happen, it’s amazing! Being a non-U.S. native there must have been changes from the life you were used to living at home. How have you adapted to be able to perform so well in the states? I think the biggest difference is not having your family near you, over the years I’ve been lucky enough to meet a lot of awesome people and build some great relationships with them. No matter where you are, friends and family is what keeps you happy and being happy brings success. First Bike: Repco super light. If you could write the first line for your personal Wikipedia page what would it say: Funniest bloke on Astellas pro cycling team. Toughest race you’ve done and why: Tour De Beauce is one of the hardest tours in North America. Its never flat, always windy and never lets up. What cycling accomplishment are you most proud of? Probably my 8th place in Stage 4 of Tour of Alberta. Our team was trying to break through and everyone in the breakaway was an awesome rider. Cadel Evans went onto win the stage. Any unique pre-race routines or lucky charms? Before a criterium I like to drink a Monster, gets me going.